To diagnose bone cancer doctor first of all takes medical history of a patient. This will provide doctor some clues of possible diagnosis of bone cancer. Some cancers are common if they are present in any of the family members. 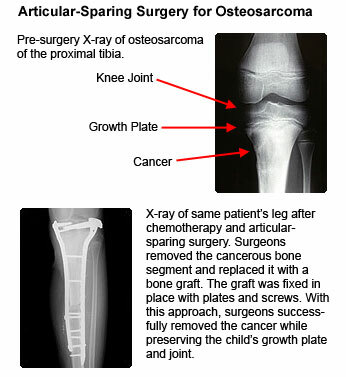 A description related to bone cancer symptoms can help doctor to identify the possibility of bone cancer. Complete examination includes testing muscle strength, sensation to reflexes and muscles. The doctor may refer certain blood tests to help diagnose bone cancer. Bone cancer diagnosis depends on the situation as different imaging tests are recommended for the diagnosis and treatment of bone cancer. The presenting bone cancer symptom is usually a bone pain. In some cases, pathologic fracture can be present which is most common in the lower extremity as compared to the upper extremity. Regarding diagnosis of bone cancer radiologic finding on x-ray causes destruction of the bone.